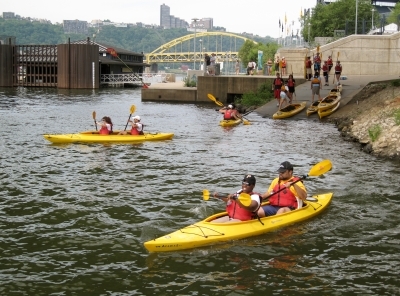 The 75-mile Three Rivers Water Trail extends from Oakmont downstream on Allegheny R, from McKeesport down to Fort Point SP, and from there on the Ohio to Sewickley. 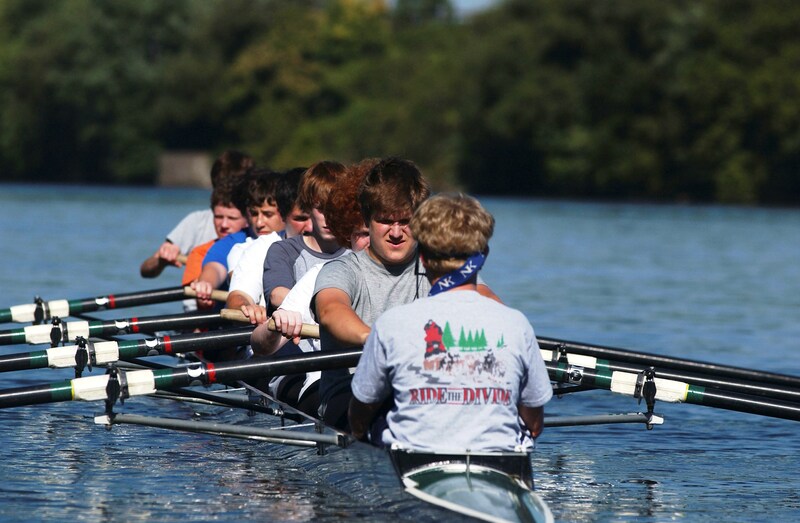 Location: Along the Three Rivers in the Pittsburgh area, navigation from Oakmont downstream on Allegheny River, from McKeesport down to Fort Point State Park, and from there on the Ohio to Sewickley. Numerous boat launches and access points. 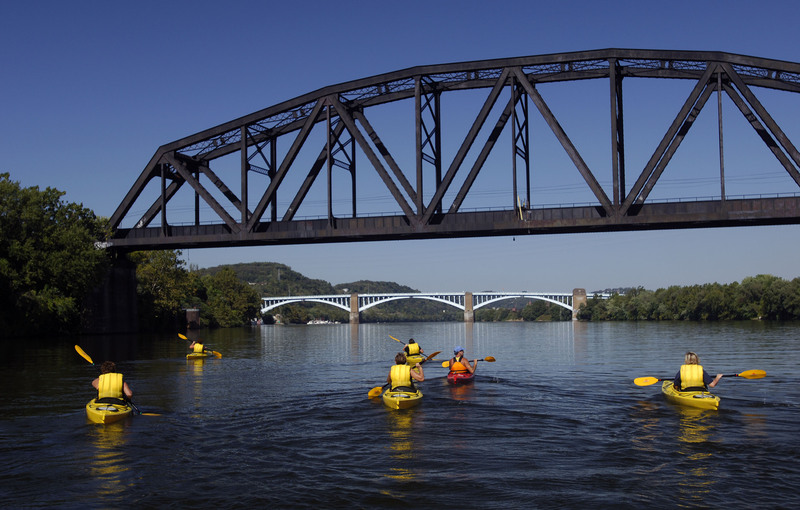 The trail extends to Sewickley on the Ohio, Harrison on the Allegheny, and Elizabeth on the Monongahela, and is easily accessed from the Three Rivers Heritage Trail. Numerous boat launches and access points. 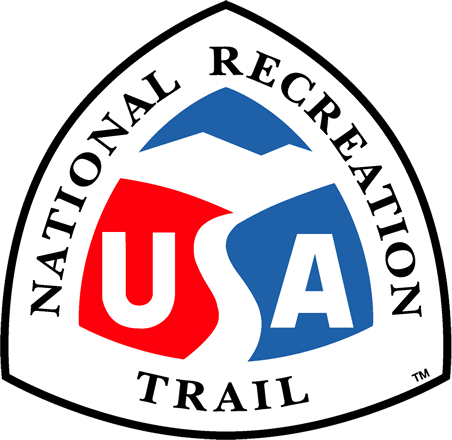 The trail is promoted and maintained in part by Friends of the Riverfront (FOR). 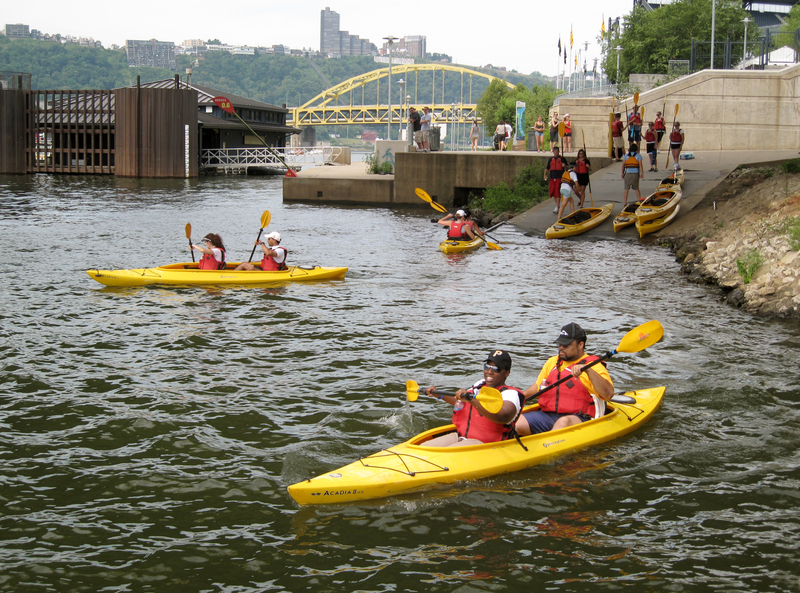 The mission of the FOR is to increase awareness and engagement with the region's rivers and riverfronts through activities and stewardship and to extend the water and land trails on the major rivers within Allegheny County. 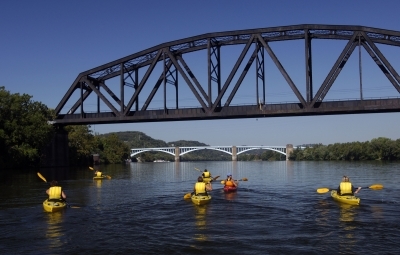 The Three Rivers Water Trail is part of the statewide water trail system, connecting to the Youghiogheny River Trail and the Kiski-Conemaugh River Water Trail. 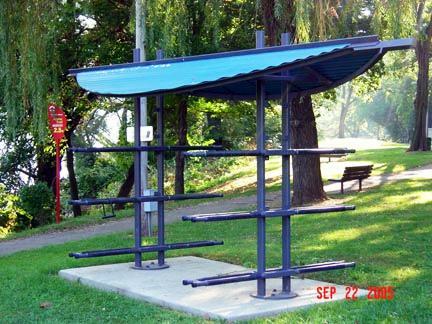 Conservation of the Three Rivers Water Trail is extended through the Trail Monitor Program, the Three Rivers Conservation Plan (PEC), and the Riverfronts Naturally Program. Management of the trail falls largely to the municipalities. Friends of the Riverfront serves as a secondary steward, utilizing volunteer labor through a License and Maintenance agreement. This agreement allows promoting the Three Rivers Water Trail as a singular entity, to maintain the various site furniture, river access points and a system of direction. Recent surveys indicate the diverse use of the trail for recreation and commuting purposes. Launching the fleet. Photo by Mary Shaw. Station Square. Photo by Thomas Baxter. South Side Park. Photo by Thomas Baxter. Verona. Photo by Thomas Baxter. Lawrenceville. Photo by Thomas Baxter.